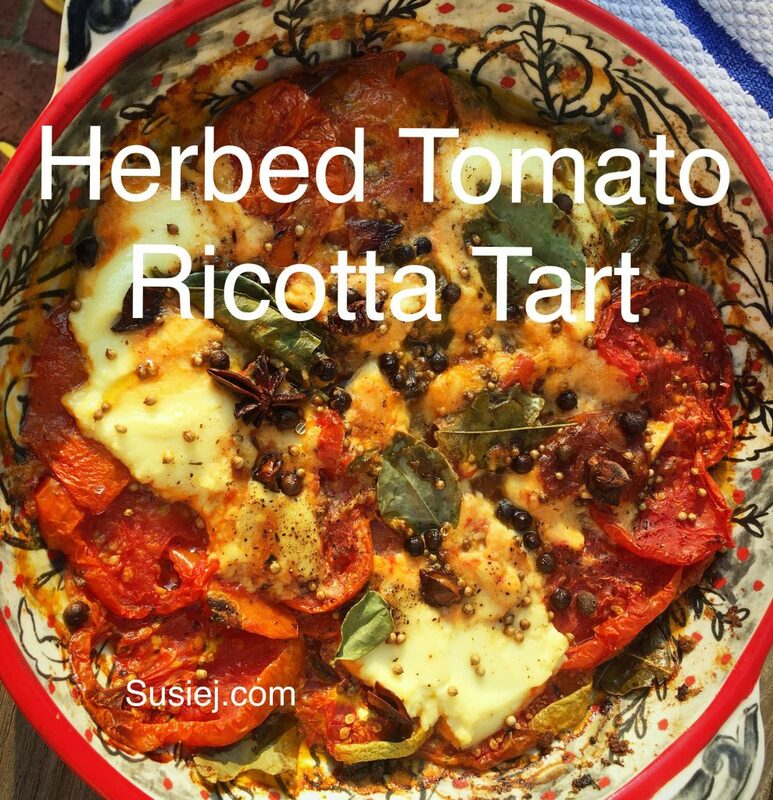 I created this tart out of a desperate attempt to find a way to extend the life from this savory, the-best-I-have-ever-tasted Marinated Goat Cheese recipe from Bon Appetite. The flavors of this marinade are so exquisite — you’ll almost want to lick the plate when all the cheese is gone. After eating almost 90% of the goat cheese — spread over 2-3 sittings in less than 24 hours, I decided to turn this marinade into a meal — with what else? Tomatoes? The result was fabulous — I dare say, I ate the entire tart within 24 hours… all by myself. Mix the herbs with the marinade herbs — and add the egg if using.